For decades, healers, patients and communities have struggled for health-care reform. These three groups represent all of us with a stake in health care. This book explores covenants, agreements coupled with responsibility, achieving peace for these three players, and show us how to work together toward a solution. 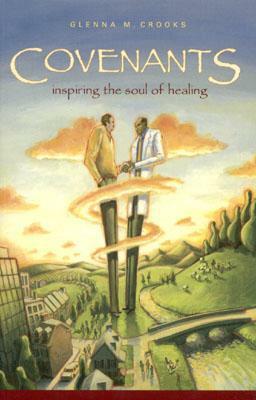 It illustrates how healing is a gateway to global peace and prosperity. Author Name: Crooks, Glenna M.
Description: 390 pp. New, with pre-publication press release laid in. Author, formerly with the Reagan administration, now leads a health care think tank. She presents ideas for revamping the U.S. health care industry and healing the adversarial conflicts that are eroding the quality of care. Keywords: HEALTH. HEALTH CARE. MEDICINE. INSURANCE. COVENANT. CONTRACT. POLITICS. GLENNA CROOKS. NEW AGE. HEALING.